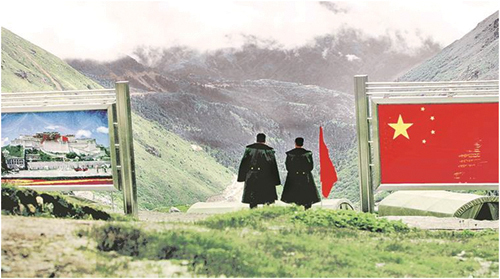 The Doklam stand-off, from the beginning, has been dominated by an India-and-China narrative, but a largely silent but firm Bhutan held some of the most important keys to the eventual resolution. It is important to clarify here that the popular narrative of India coming to the rescue of tiny Bhutan is not accurate. In the Doklam stand-off, it was India’s security that was at stake, its “chicken neck” on the line. From the 1990s, China came up with a “package deal”, where in return for the smaller disputed Doklam area, it was willing to give bigger territorial concessions in disputed territories in central Bhutan. By 1996, the Chinese offer was repeated in a comprehensive way. Apart from disputed territory gains, it was an opportunity for Bhutan to solve its boundary dispute with China and also gain Chinese “goodwill”, which everybody these days, from the US to Russia, pursue. Doklam, from the Bhutanese point of geography, is neither strategically important nor does it hold any economic value, as the stand-off area is frozen for most of the year and nothing can grow up there. Bhutan’s National Assembly resolutions from the late 1970s onwards show the unresolved boundary with China was giving Bhutan severe headaches in addition to an air of uncertainty. 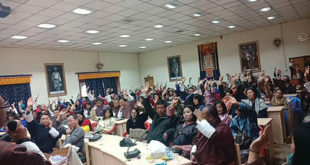 Bhutan’s pre-democracy National Assembly saw elected representatives repeatedly getting up to either complain about Chinese encroachments through herders, setting up of temporary dwellings or not being allowed to graze. There were repeated and strong calls from these representatives across the country to solve the boundary issue with China. In the face of all of this, Bhutan in 1996 turned down the comparatively generous package deal offer mainly on the basis of Indian security concerns over Doklam. Unknown to many in India, Bhutan had to subsequently pay for rejecting this package deal as the Chinese, after this, became noticeably more assertive and active in building roads in the border areas, even encroaching into traditional Bhutanese areas. 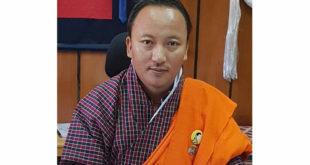 In the 2005 session of the National Assembly, the Bhutan government, in response to queries by people’s representatives, revealed how China was building six roads towards Bhutan with four roads already intruding well into Bhutanese territory. Bhutan, as usual, protested vociferously and China, after this extensive intrusion, agreed to freeze the construction of roads. One example of such a road is in the Phutegang ridge which has always been Bhutanese territory, but after the road construction there, China has not been willing to concede the area in the boundary talks, citing the road in that area. Bhutan has also had to pay in another way as the Chinese, as a negotiation tactic, have laid large claims towards the Bhutanese side on even well recognised Bhutanese areas which were recognised and respected in 1958 when Nehru visited Bhutan through Chinese-controlled Tibet. China, over the decades, has applied pressure on Bhutan, using various tactics so that Bhutan lets go of the Doklam area. The recent stand-off was, in some ways, an opportunity for Bhutan to wash its hands of the whole affair and claim helplessness with India in the face of Chinese might. However, Bhutan, once again, strongly stood on India’s side, issuing both a demarche and a statement by the Foreign Ministry. New Delhi must appreciate the kinds of pressures that Thimphu must have come under from Beijing for taking such a stand. It was, in fact, Bhutan’s firm and uncompromising stand that the status quo should be maintained as per the 1988 and 1998 agreements, both in its public position and behind the scenes, that allowed the face-saver of a deal for both India and China. Coming back to the bit about India rushing to Bhutan’s security, India never intervened or even raised its voice in the past, about numerous Chinese incursions into the Bhutanese side, including the more serious road-building activities. This is because they did not affect Indian security, unlike Doklam. Also, contrary to a lot of misguided speculation, neither the 1949 nor the revised 2007 Friendship Treaty is a “security pact”, they have no provision for any “security assistance” to Bhutan. Bhutan had the option of refusing Indian security assistance, which would have severely complicated matters for India. India came into the picture this time as the road was heading down through the disputed territory towards the Zompelri ridge (not ‘Jhumpelri’) that overlooks the chicken neck. So the ground reality (as impossible as it may seem for some to believe) is that it is Bhutan that has once again come to the rescue of Indian security and strategic interests, with risks and costs to itself. Boundary talks between Bhutan and China are usually an annual affair but this time even though the 25th boundary talks are overdue there has been complete silence from China’s side. When and if the talks resume, it is not known what the Chinese side will say, and the position they would take after this prolonged stand-off where harsh words have been exchanged. 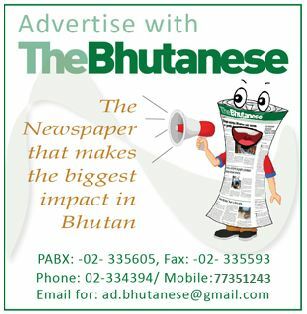 During the stand-off, there was criticism from some sections within Bhutan of the stand taken by Bhutan as some felt it put it at risk in a potential fight between two giants. Voices from a younger generation on the social media brought some domestic pressure on the government, especially when national elections are only a year away in 2018. However, the government resisted such calls from some sections as a long-term and good friend not wanting to spring a surprise on India during a moment of crisis. During the Doklam stand-off, apart from an optimistic reading of a largely neutral Japanese statement, India, for all its new and powerful allies and friends, was largely alone. It was Bhutan, which, with risk to itself, stood by India, all through, to the very end. The writer is the Editor of the paper. This article was first published in the Indian Express Newspaper on 31st August 2017. 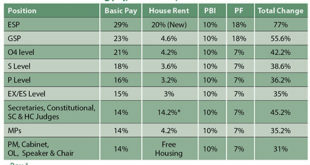 Most of the Indians like me are unaware about the cost Bhutan has paid while preserving Indian interest. But its a fact that come into light in this recent Doklam standoff. Indians should & must realize that BHUTAN is its only real friend in a moment of crisis.